We have introduced ourselves as one of the reckoned supplier of Delta AC Motor Drives. These are precisely fabricated using latest technology with optimum quality raw materials. Owing to their excellent features such as low energy consumption, high performance and accurate functioning, these are able to fulfill the diversified demands of various industries. 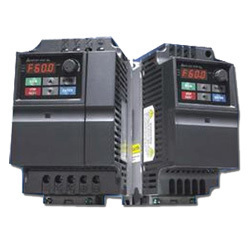 We are offering superior quality VFD-F Series of AC Motor Drives, which are developed with the most advanced technology. Moreover, they have been designed specifically for medium and high horsepower fan and pump applications. They are highly preferred by customers’ and provide automatic voltage regulation and adjustable V/F curve. High performance, longevity, optimum performance and durability have increased their demand. It also offers the capability of connecting and running consecutively four motors. 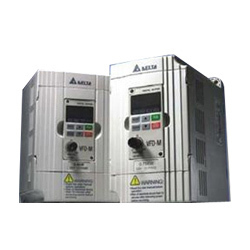 We offer excellent quality VFD-VE Series of AC Motor Drives, which is used for speed and position control. They are developed from exquisite technology and the FOC (Field Oriented Control) of this series is a precise vector control algorithm. Our product is highly capable of managing parameters and dynamic monitoring and therefore, this series contains a Windows based PC software program. The multi-function I/O terminal is expanded to meet users' various application needs. It provides an excellent solution for load regulation. 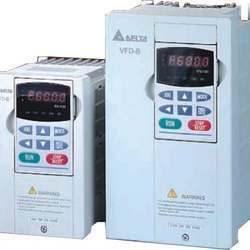 We are leading Suppliers of Delta Make AC Motor Drives (vfd-v series). This product is developed from fine technology and is a flux vector/torque control ac drive which comes with v/f, open loop, closed loop, and high speed control options. These constant and variable torque rated drives are developed from the best available grade raw material. Moreover, thy can be easily used and require less maintenance. They are available at highly economical prices and offer rapid response, pinpoint position control, and speed adjustment. 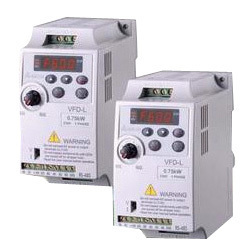 We fulfill clients’ specifications and offer VFD-S Series of AC Motor Drive (Item Code: VFD-B), which are completely cost effective and are used for general purpose drive. Moreover, they also contain an easy to use keypad and low-noise carrier frequency. Our products are highly desired in various industries. Our products are widely used in air conditioner and water supply systems of large buildings. We charge affordable rates. 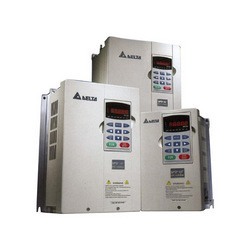 We are highly adept at offering our clients AC motor drives (VFD-E series), which include sensors and are known for optimum reliability and energy efficiency. They are effectively preferred by clients’ and with their help users can write and execute simple ladder logic programs. Some outstanding features include constant torque, low horsepower, and ip20 rated drive. Manufactured from superior quality components and spare parts, they are completely in tandem with the most updated market trends and international quality standards. 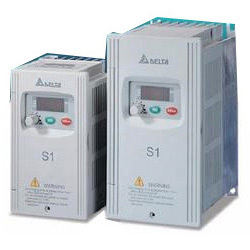 We have shown effective growth and are offering sensor less AC Motor Drives (VFD-M Series), which are capable enough to be used for small and medium horsepower applications. They are developed with excellent materials which provide an ultra-low-noise operation. Moreover, they contain various innovative sorts of technologies that reduce interference. We offer our products in various designs and specifications to fulfill genuine requirements of our clients. Customer satisfaction is our utmost priority and we offer our clients’ sub-fractional low cost AC Motor Drives (VFD-L Series). These are developed with precise technology and contain a built-in EMI filter to reduce the electromagnetic interference. They are available in numerous specifications and are highly designed for low horsepower applications. Moreover, these drives are available at customer friendly rates and conform to the CE EMI directive. They are simple to use, great in quality, durability, have long lives, offer maximum performance and require less maintenance. 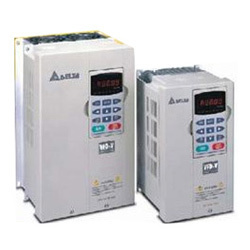 We are constantly engaged in offering AC Motor Drives (VFD-EL Series) to fulfill clients’ varied demands and needs. Our products are available in various designs and they are actually a kind of multiple function new generation micro type AC drives. Plus, they include a RFI switch, easy DC bus sharing needed for side by side installation and built-in EMI filter & keypad. They have been developed from effective technology and are available at competitive rates. We also customize and package them completely in accordance with clients’ guidelines. We work completely according to clients’ diagrams and specifications and are renowned for offering them sensor less AC Motor Drive(VFD-B Series), which consist of open and closed loop vector control. Moreover, they are developed with effective technology and include constant torque and an optional 2000 Hz high speed output that can be programmed at factory premises as desired by customers’. Our excellently and precisely engineered drives are developed in accordance with the latest industry standards. We are highly reputed for offering our clients AC Motor Drives (VFD-A Series), which stand high on various quality parameters. This is actually a first generation of AC motor drive and is developed with proper technology and fine quality materials. Moreover, they are reliable, easily installed, energy efficient and are built-in RS-485 serial interface (MODBUS). They also include a high quality digital keypad that can be connected with an extended wire. 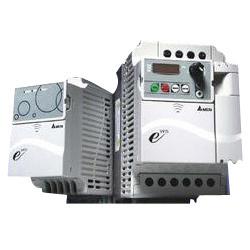 They are highly demanded in the market and adequately feature multi-function I/O terminal, V/f control, and auto-torque/auto-slip compensation. This series has now been updated to B and M series and are available at the best cost effective rates. We excel in offering bulk deliveries and proper transportation and packaging facilities are contained at our facilities.